On Wednesday 21st September we held the 4th National ENAVE Training Workshop in the splendid setting of Genoa’s Starhotels President Hotel. The meeting, organised to coincide with the 56th International Boat Show, was an opportunity for the exchange of information and know-how between our managers and technical staff from all over Italy. After a brief recap of 2016’s events and setting out objectives for 2017, ENAVE was pleased to unveil its brand-new website, alongside related promotional materials such as the firm brochure and flyers. Also on the agenda was an interesting presentation of the latest regulations, with a particular focus on the new EU Directive 2013/53, which will definitively replace the old EU Directive 94/25 on the 17th of January. All presentations were enthusiastically received by the Workshop’s attendees, who took on board ENAVE’s advice and suggestions, as well as sharing news of their own projects on this instructive occasion – deemed unmissable by all present. 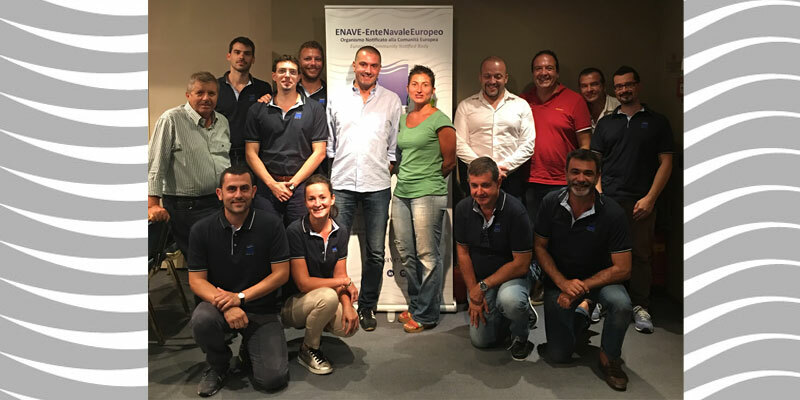 For the fourth year running, the ENAVE management team were delighted for the chance not only to express their thanks to their staff and collaborators by pampering them in one of the best venues on the Ligurian coast, but also to encourage them to play a part in the future growth of the firm via a lively and productive exchange of their valuable opinions and ideas. These meetings are, and will remain, vital events for the firm which, despite the energy and time required to organise them, views such occasions as valuable opportunities to touch base with all those who have contributed to their continuing success.